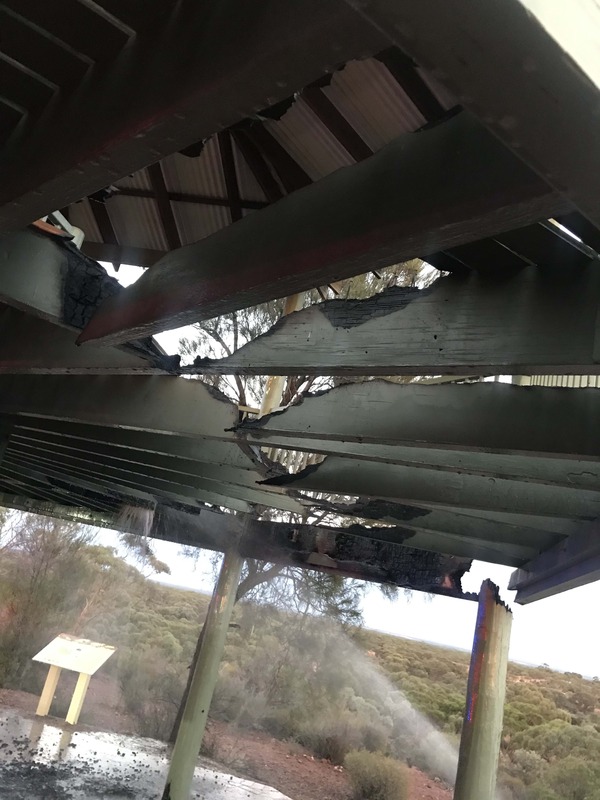 A suspected arson dawn fire in Karlkurla Park has destroyed part of the Katunga Lookout Observation Deck this morning. DFES Career firefighters responded around 5:40am to the fire after being alerted by those out for early morning exercise in the popular park. It took DFES crews around 15 minutes to extinguish and anyone in the area at the time who may have seen something suspicious are urged to contact Crime Stoppers on 1800 333 000.